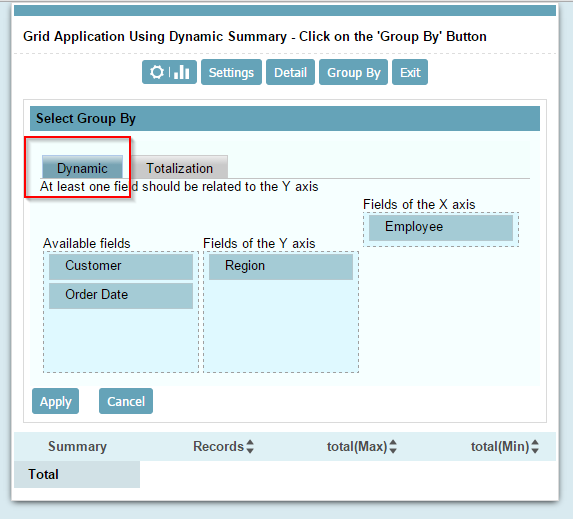 The developer can choose if the Group By is dynamic, static or both for the Grid and Summaries. 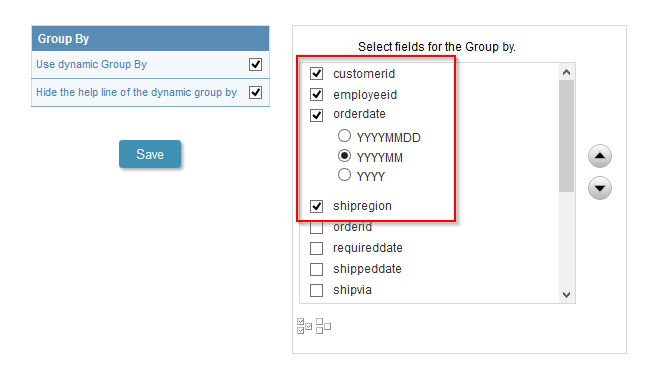 End user decides dynamically the Group By for the Grid and summary too, according to the fields selected by the developer. 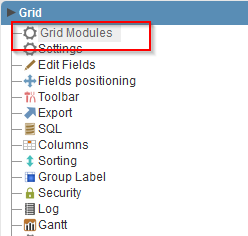 In this example, we will see how to create and use the Dynamic Group By in the Summary of Grid applications. It allows the end user to perform data groupings of his own choice and generate analytical reports and Pivot Tables dynamically. 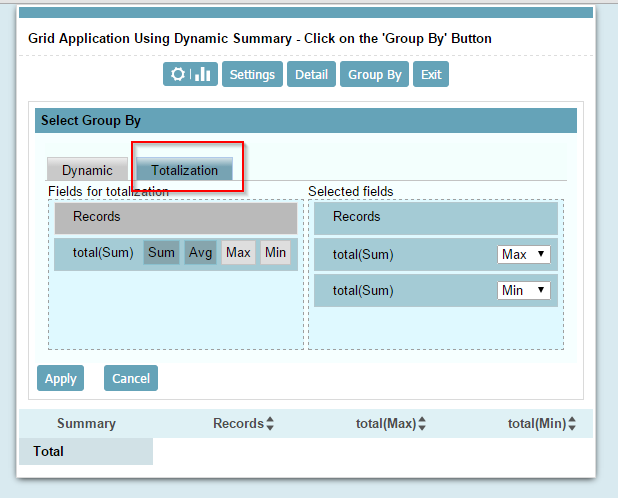 The application allows the end user to select the fields that will be part of the analytical report. 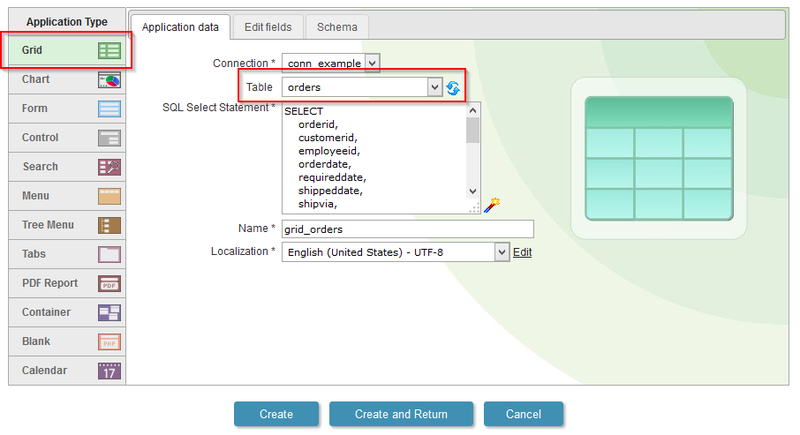 … and generate the report of a customized way.